Several students using VGo to attend class were recently featured in a recent article in The New York Times®. 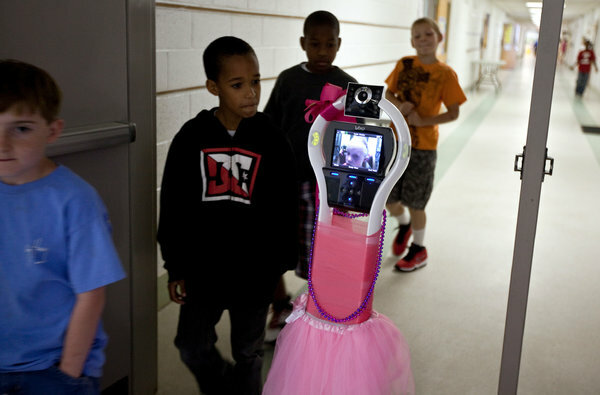 Lexie (pictured below on VGo), Connor and Aiden are just a few of the small but quickly growing number of students with special health needs who use “remote presence robots” to be just another kid in class. Click here to read the article online and here to see the slideshow.